Do you have a vest? Do you wear it? Not only can it provide a warm layer on chilly days, but it can also be a real fashion statement. What's also great about vests? They have no age limit. A few years ago, I received a down vest from Lands End as a gift. It has become one of my favorite wardrobe staples.While it isn't very dressy, I can wear it on walks on colder days with yoga pants and a t shirt and then pair it with casual outfits for lunches, outings and trips. It's such a practical piece, and when you add accessories, it's also very stylish. 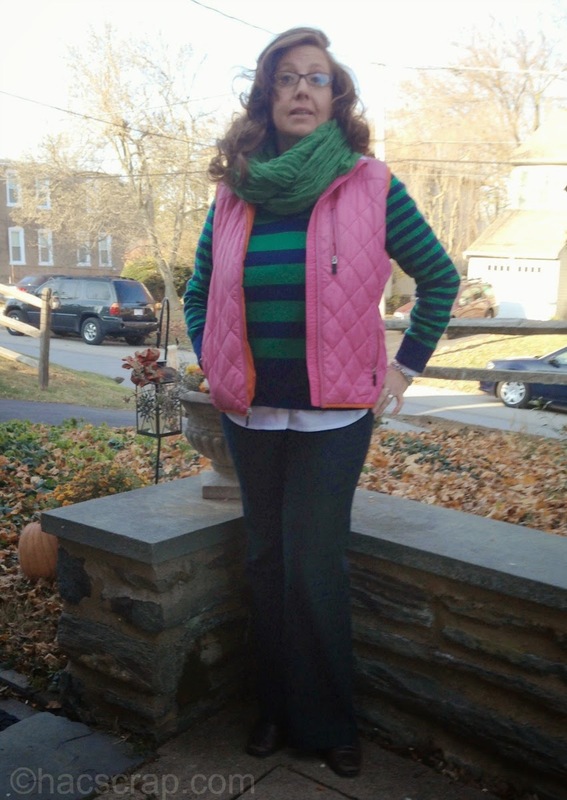 Recently, I wore my tried and true with a simple cashmere pullover and boot cut jeans.I added a scarf for extra warmth too. Confession time - I totally covet a fury Rachel Zoe vest. I just love te idea of a night our outfit styled like the one above. Also, that red sweater outfit - I may need that entire look . 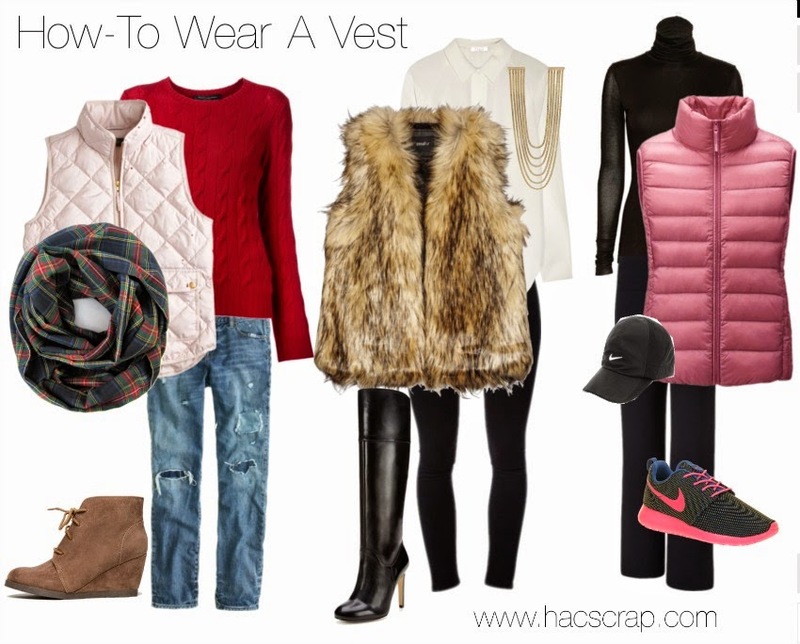 . .
How do you rock the vest? This post is linked up at The Pleated Poppy and at Get Your Pretty On. Check them out for more outfit ideas and inspiration. Great style board! I love all of the looks you created! Love vests...wish I had more.